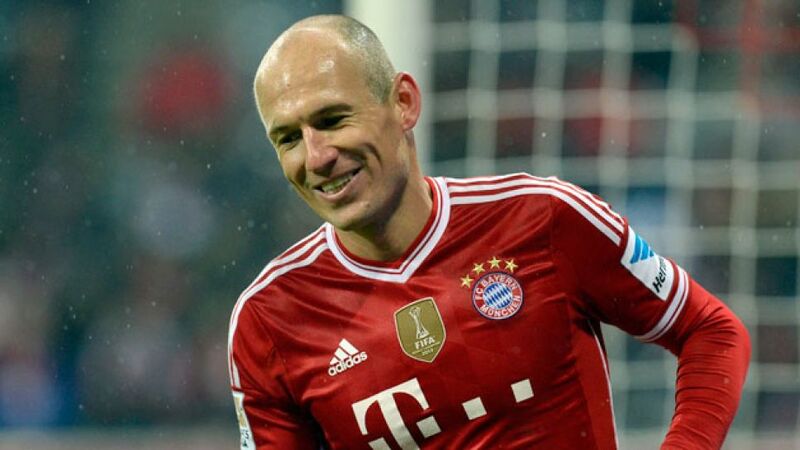 Bundesliga | Robben: 'You have to enjoy days like these' | Arjen Robben | FC Byern München"
Munich - They may have been pushed all the way in Wednesday’s last-gasp win at VfB Stuttgart, but FC Bayern München produced an emphatic reminder that they don’t allow lightning to strike twice, and certainly not at home, after dishing out a 5-0 thumping to Eintracht Frankfurt in Matchday 19's curtain-closer. Five different scorers found the net to make it 51 goals for the Bavarians in the league this season, and were it not for the heroics of Eintracht's Kevin Trapp and his replacement Felix Wiedwald, that number might easily be higher, as the effervescent Reds ran riot at the Allianz Arena. Their previous two successes - in Mönchengladbach and Stuttgart - had been of the workmanlike variety. This one was far more reminiscent of the free-scoring Bayern side we have seen regularly this season and last: Robben and Co. had 25 attempts on goal, enjoyed 73 per cent possession and had a collective pass completion rate of 92 per cent. From having the game’s first attempt on goal through Alex Meier, Frankfurt were quickly penned back on the edge of their box, a position they were forced to adopt for the vast majority of the game. Their defensive approach was, of course, the same strategy that most teams have deployed in Munich this season, but wave after wave of attack put pay to the Eagles' pre-conceived plan.